Milan, home of centuries of art, culture, fashion and design, and renowned for its ‘sprezzatura’ - an effortless style that mixes a respect for tradition with a touch of individuality. 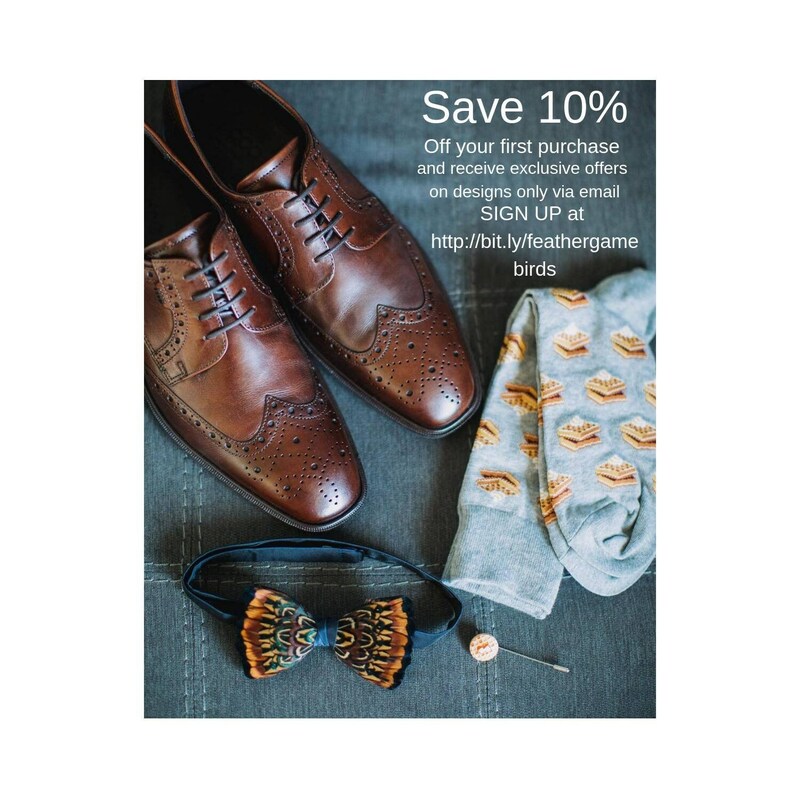 Just like the city, this Milan pheasant feather bow tie from Plumassier Artist Tracey Telford, expertly combines stunning classic design with something a little extra. With its olive green and purple feathers, set on a quality black 100% silk double bow base, the Milan conveys the right combination of ambition, vitality, creativity, love and devotion. Being individually hand made, it can also be made available on quality satin, and a range of others base colours can also be selected, to align with your preferred design aesthetic. 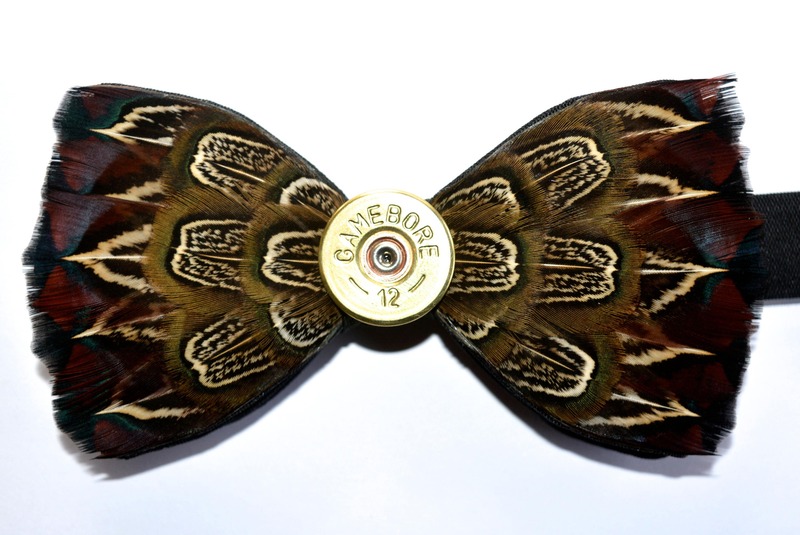 To further personalise this bow tie, you can request specific makes of cartridge, in brass or nickel silver colour and you can select 12 or 20 bore / gauge cartridges. The cartridges are neatly cut by and any burrs are removed to make the edges smooth, then they are polished. Simply note your preference when making an order.